Mark Lackey is a composer and educator with a background in composition and theory pedagogy. 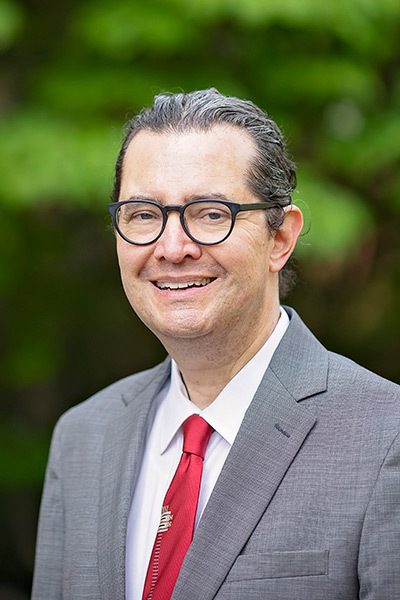 An Assistant Professor of Music at Samford University's School of the Arts, he teaches music theory and aural skills courses as well as lessons and courses in music composition. Previous teaching appointments were at Towson University, Johns Hopkins University, and The Peabody Conservatory. Mark Lackey earned the degrees Doctor of Musical Arts in composition, Master of Music in theory pedagogy, and Master of Music in composition from The Peabody Conservatory of Johns Hopkins University where his teachers included Christopher Theofanidis, Bruno Amato, and Nicholas Maw. He completed his undergraduate studies with majors in clinical psychology and piano performance under Jerome Reed at David Lipscomb College, now Lipscomb University. Mark Lackey’s music is available on the Potenza Music label and through Dorn Publications and his own Julian Date Music imprint. His music has earned him premieres from the Eastman Wind Orchestra, Definiens Ensemble in Los Angeles, cellist Craig Hultgren, violinist Courtney Orlando, Druid City Ensemble, Samford University Wind Ensemble and many others. He has received awards including a Johns Hopkins University Arts Innovation Grant and an Encore Grant from the American Composers Forum. A recording of his chamber work Fairy Tale was featured in the inaugural issue (No. 53) of the College Music Society’s Symposium Online: Audio Performance Archive, a peer-reviewed presentation of the work of College Music Society members. Lackey is current president of the Birmingham Art Music Alliance, and is a member of the American Composers Forum, the College Music Society, and Pi Kappa Lambda national honor society in music. Mark Lackey is married to Jennifer Lackey, an educator in the fields of film studies and fiber arts. They have one daughter, Tabitha.